This is a MUST WATCH episode about how to get in the right mindset when starting your dream (and the steps you can take NOW as you’re starting out). This is a MUST WATCH episode about how to get out of the anger mindset (and what it takes to charge through your life with positivity and enthusiasm). These are the practices and mindset to sustain motivation (and how to get it BACK when you've lost it). The more you follow your dreams, the more you’ll get the believers AND the haters. Here's how to shift your perspective and take responsibility for your dream! When you suffer a major setback or disappointment, it's hard to find the motivation to get your life back on track. These three strategies teach you how to use your mind to feel alive and motivated through the darkest days of life. The #1 issue with productivity is this: some people look at their day-to-day tasks with dread, they accept that feeling, and they stop. Here's how to overcome that and achieve your HIGHEST levels of productivity. We often think our confidence is correlated with what we know, how SMART we are. 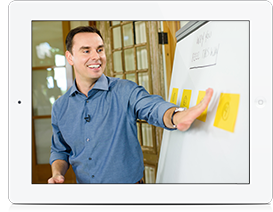 This video by Brendon Burchard debunks that. This framework will help you understand how your mind really WORKS. Story by Amy Anderson. Article published as the cover feature of Success Magazine, October 2017. When you are designing your day, designing your week, designing your life, you come back to life. Here's how to dial in your productivity by implementing Daily Block Time!